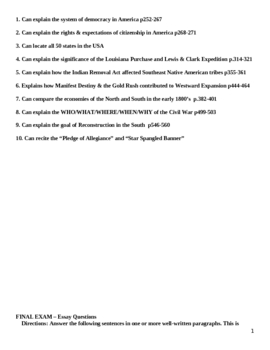 This is a ten question final review of an 8th grade American History class. The ten questions are based on the Maryland VSC. 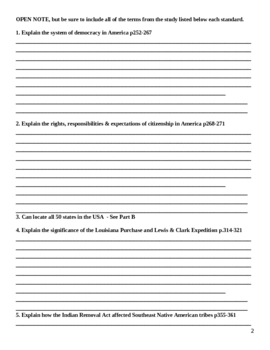 The questions provide page numbers and space for students to complete brief constructed responses to each. I used this as a two-day (and take home) review one year and the following year used it as an in-class open-book summative or final exam.